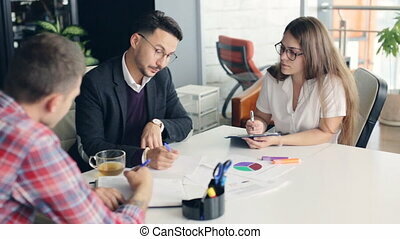 Creative business team discussing the architectural project. 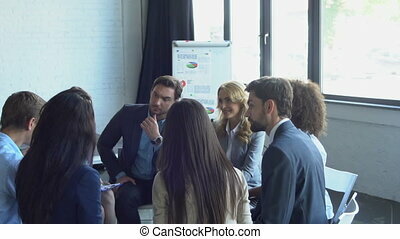 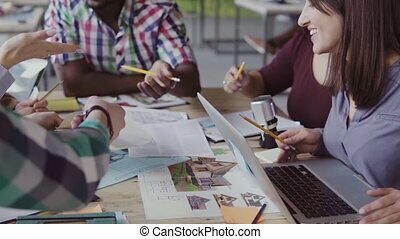 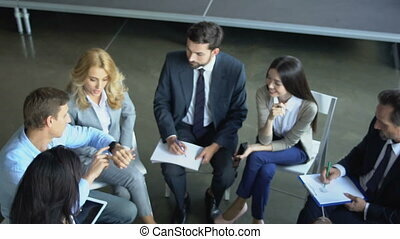 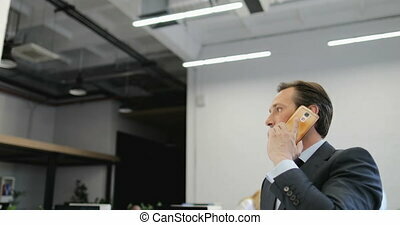 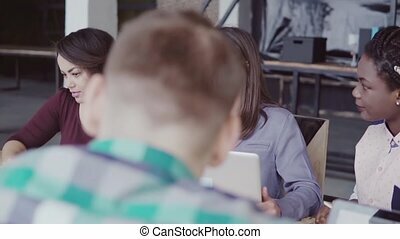 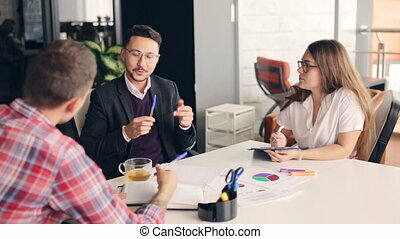 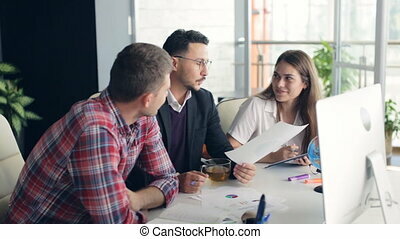 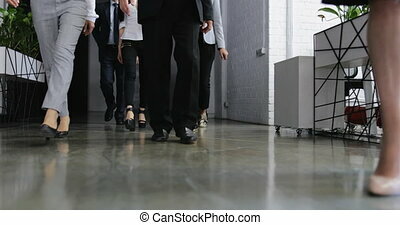 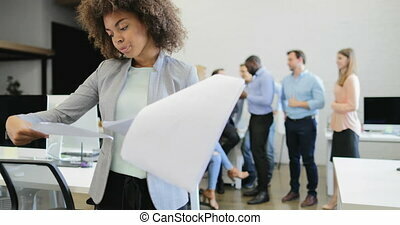 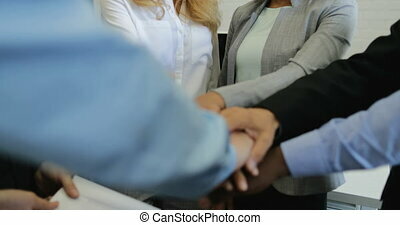 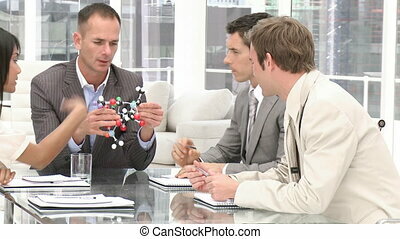 Brainstorming of mixed race group of people in trendy office. 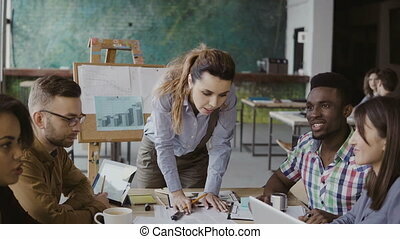 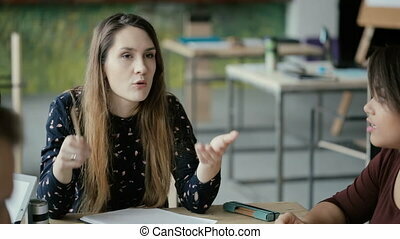 Female brunette manager talking with team, motivate they. 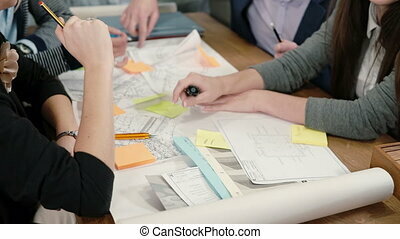 Small architectural company, creative business team meeting. 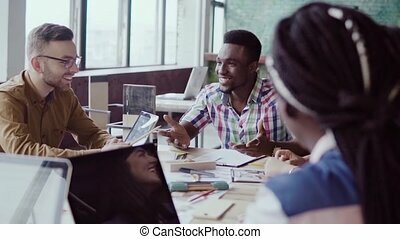 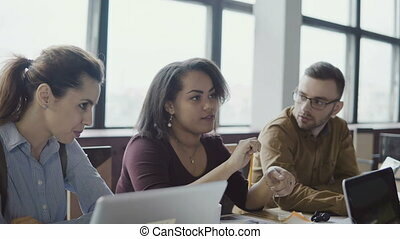 Young mixed race group of people discussing project. 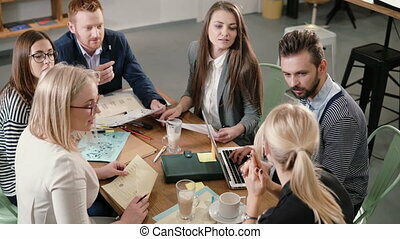 Brainstorming of colleagues in modern coworking space. 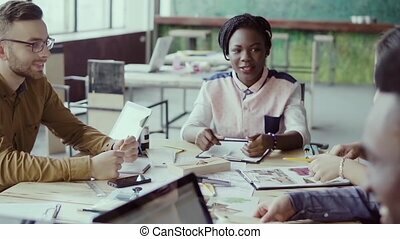 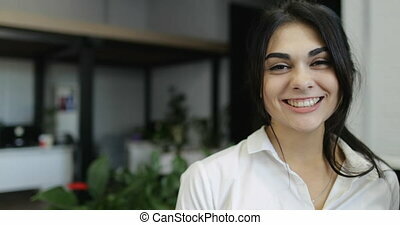 Happy multiethnic business people smile, laugh and enjoy working together in friendly atmosphere of healthy workplace. 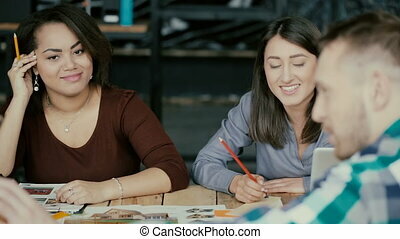 Mixed ethnicity creative team brainstorming, generating ideas for projects. 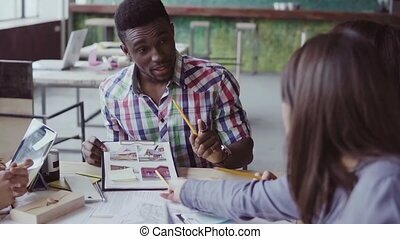 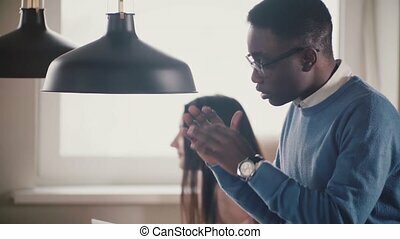 Close-up of young successful African American businessman talking, showing gestures, playing with little football in modern office. 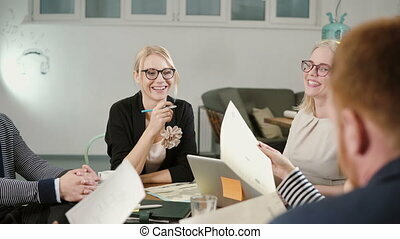 Happy employee sharing thoughts, brainstorming at healthy workplace. 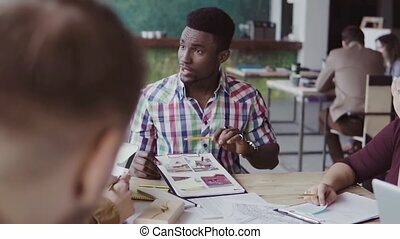 Young african businessman talking in front of small group of people. 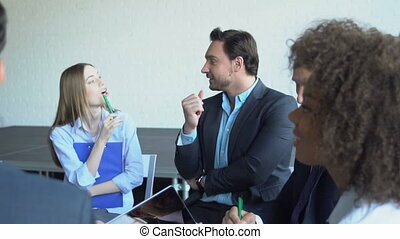 Handsome man does the project presentation, gives direction to colleagues. 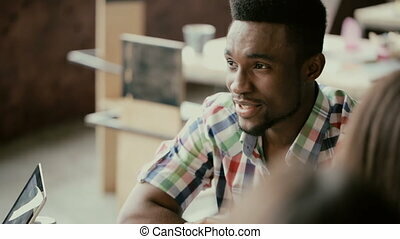 Mixed race team, portrait of handsome leader. 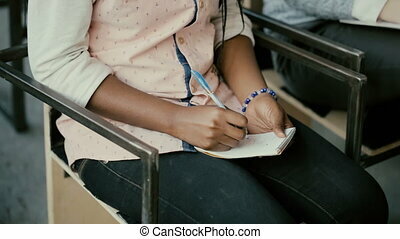 Close-up view of african female hands. 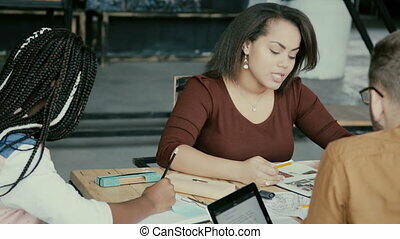 Woman sitting on a chair and writing in notebook. 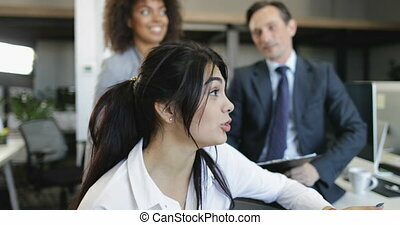 Student girl at a lecture. 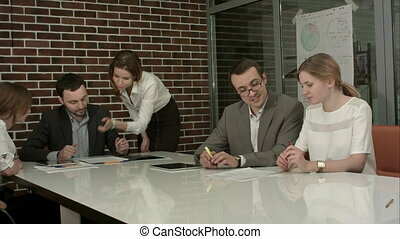 Young female write down the information in business seminar.